FACT CHECK: Did Barack Obama Attend Columbia University as a Foreign Student? Did Barack Obama Attend Columbia University as a Foreign Student? 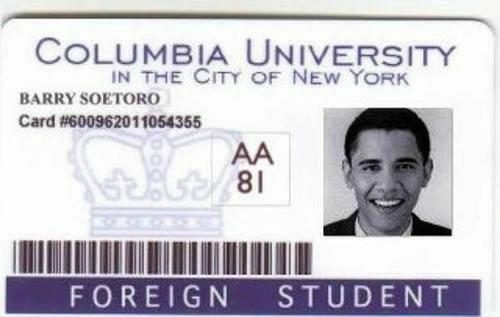 A 1981 Columbia University card identifying Barack Obama as a foreign student named Barry Soetoro is a fake. A 1981 Columbia University student ID card identifies Barack Obama as a foreign student named Barry Soetoro. 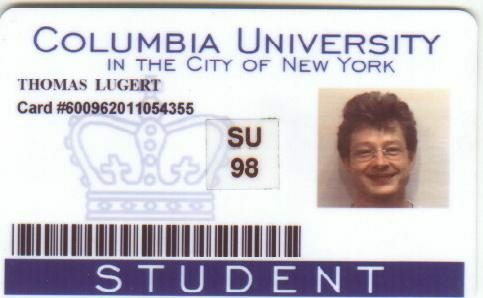 Additionally, the pictured card couldn’t possibly have have been a Columbia University student ID issued to Barack Obama in 1981, as the digital ID card format it uses wasn’t introduced at Columbia until 1996. Finally, the pictured ID card is obviously a forgery, as the photograph it bears is not a picture of a 20-year-old Barack Obama from 1981; it’s a picture taken several years later, during or shortly after Barack Obama’s time at Harvard Law School (1988-1991). The Atlanta Journal-Constitution. 27 January 2012.